Still bearing the scars of a brutal yet mercifully short marriage, Laura Hedley, left independently wealthy, accepts an invitation from her friend Frankie, the Duchess of Winchester, to stay at Winchester Park while she considers settling in the district. But trouble follows close on her heels in the form of her disgruntled stepson who thinks that Laura has stolen his rightful inheritance. Lord Simeon Pallister is convinced that his brother Albert’s murder was arranged by the adulterous wife whom Albert was threatening to divorce. Simeon seeks the duke’s help to track down the perpetrators. Lord Amos, the duke’s brother, sees an opportunity to exorcise his personal demons by helping Simeon to find justice, unaware that it will involve taking partial responsibility for Laura’s problems too. With her brother away on his wedding journey, Ruby Bancroft comes to stay at Winchester Park as a guest of the duke and duchess, where sparks fly as she renews her friendship with Harry Darwin. Meanwhile there are forces at work against the duke, seeking to right perceived wrongs. After the death of his father, Elijah Bancroft returns from India to take up residence at Highclere, situated on the boundary with Winchester Park, the home of Zachary Sheridan, Duke of Winchester. Bancroft brings with him his younger sister—and a family secret big enough to trouble the government of the day. He seeks the duke’s help to establish himself and right some old wrongs. Meanwhile agitators stir up unrest in the district. Joseph Phelton, an idealist and poet suffering from an unrequited love for the duchess’s niece Jessica, drunkenly accepts a commission that could destroy Zach’s happiness in a single cruel blow. Elijah’s eyes are drawn to Jessica too, and he vows to protect her as he struggles to clear his family name and restore his reputation. When Georgia Hadleigh falls from her horse in a blizzard she is rescued by Ezra Rutherford, a neighbour who has just returned from Jamaica to take charge of his late father's English estate. The Hadleighs and the Rutherfords have been embroiled in a bitter feud which has lasted for so long that nobody can recall the reason for it. In an act of spite and retaliation, Georgia's father has cut off the vital water supply that leads to the Rutherford estate. Aware of a mutual attraction, Georgia and Ezra are determined to put an end to the unpleasantness. Meanwhile Zachary Sheridan, the Duke of Winchester, has asked Ezra to help with a problem that is vital to the well-being of the nation—a problem that appears to involve Georgia's father. Odilia Sutherland is delighted to receive an invitation to visit the Duke and Duchess of Winchester at their magnificent country estate. Meanwhile, the duke has arranged for Irish artist Carrick Brennan to stay with the family while he paints a portrait of the duchess and her children. When Odilia and Carrick meet, the chemistry is immediate and obvious. But he is the son of an Irish pig farmer and she is a member of the aristocracy who is all but promised in marriage to the odious Earl of Basingstoke, an old enemy of the duke’s family. It seems that Basingstoke will stop at nothing to win Odilia’s hand, and he is also working on a devious plan to dishonour the duke by impugning his reputation and destroying his standing in the local community. Miranda Delaney—Mia—is to spend the summer with her cousin Frankie, the Duchess of Winchester, at the Park, the duke’s palatial country estate. But the pleasure she would otherwise have taken at leaving London and freeing herself from her mother’s cloying supervision is married by the knowledge that she will be expected to select a husband from amongst the ranks of Frankie’s influential friends in order to raise her own family’s prospects. Meanwhile Adler, the duke’s long-serving right-hand man, has family problems of his own. When he takes a leave of absence from his position for the first time ever, the duke becomes concerned after difficulties begin to arise on the estate. Could Adler responsible for creating them? Colonel Caleb Harrison, cavalry officer and war hero, is obliged to undertake dreary desk duties after a crashing fall at Waterloo leaves him permanently lame. When his old friend Amos Sheridan offers him the opportunity to train young horses on the Duke of Winchester’s estate, Cal jumps at the chance. At least on horseback he can still pretend to be a complete man. Surprised at the ease with which the Foreign Department release him from his duties, Cal soon suspects that he has been manipulated when the Earl of Romsey, married to the duke’s sister, asks him to befriend a young woman who has just moved to the district. Her father is a senior diplomat in possession of sensitive information vital to British interests whom the Foreign Department have lost all contact with somewhere in China. Petra Boyd and her sister Lucy reluctantly leave their home in Kent at the insistence of the Foreign Department and take up residence for the summer to a leased house in Shawford, a short distance from the Duke of Winchester’s palatial home. When a stranger daringly saves Petra from a crashing fall from her horse, she is immediately drawn to the taciturn Caleb Harrison, who seems to think his injured leg makes him less of a man. When questions arise in respect of her father’s loyalties Petra refuses to believe that he could possibly be a traitor. Working with Cal to prove it, Petra is equally determined to make Cal realise that his life didn’t end on the battlefield. Within three years of returning to English soil after a decade in Boston, Jonathan Sheridan has established his business interests and seen all four of his siblings married. Anxious that the world should know his wealth is a consequence of his own efforts and that he has not depended upon the influence of his cousin Zach, the Duke of Winchester, to make his mark, Jon decides to exert his independence by purchasing an estate for his sole occupation. Lady Ayla Courtney reaches the heartbreaking decision to sell Felsham Court, the house left to her by her beloved grandmother, since she can’t afford to maintain it. She discovers that Hubert, her sister’s husband, has political ambitions that rest upon Ayla’s cooperation and he challenges her ownership of Felsham Court in order to procure her compliance. Caught up in the middle of the property dispute, Jon should walk away but feels compelled to offer Ayla his help to best Hubert. Taken by her beauty and spirit, he denies his growing attraction towards her and concentrates his efforts upon keeping her safe. For her part, thrown constantly into his company, Ayla’s passions are aroused by the handsome and elusive Jon Sheridan. But she has a guilty secret that’s haunted her since her youth and precludes her from ever forming a permanent attachment to any man. Will Hubert succeed in making Ayla dance to his tune? Can Jon purchase the house without letting his feelings for Ayla run out of control? And can Ayla escape the life-threatening situation that Hubert’s desperation embroils her in? Calpurnia Garrard is convinced that her husband’s death was no accident. In desperation she tries to persuade the Duke of Winchester to intercede. But Zach’s duchess almost lost her life giving birth to his second son and the duke is not receiving visitors. Driving away from Winchester Park, Callie’s horse bolts. Alfie Sheridan manages to rescue her, listens to Callie’s story and is moved by the lovely young widow’s plight. But her husband’s death was ruled to be an accident and Alfie doubts that it will be possible to uncover evidence to the contrary eighteen months after the event. Acting for the duke, Alfie delves deeper into Callie’s affairs, soon discovering all is not as it seems. Someone will go to any lengths to prevent him from getting to the truth, or from developing inappropriate ideas about Callie. As the danger increases, so too does Alfie’s attachment to Callie and his determination to keep her safe, which is all he can do to be of service to her. He is committed to helping his brother make a success of his business ventures and has no time for romance. Besides, Callie has made it clear that she her own reasons for not marrying for a second time. Someone has the audacity to issue threats against the duke’s baby son. Determined that Frankie will not be overset by the news, Zach turns to Lewis Nash, the younger brother of the Earl of Tyburn, for help. Lewis’s reputation as a rake discourages society’s interest in him and acts as cover for the clandestine investigations he frequently undertakes both privately and on behalf of the government. Cora Sheridan, the duke’s cousin, is intrigued by the presence of a rake in their midst. At a loss to understand why such a man would be considered suitable to catalogue the books in Zach’s library, she sets about trying to discover why he is really at the Park. Lewis curses Cora’s interfering ways when she succeeds in that endeavour and has no choice but to involve her in the investigation—her price for not telling the duchess the truth. Zachary Sheridan, Duke of Winchester, invites his cousin Max to take responsibility for his personal legal affairs. He is thrown into the deep end when another lawyer contacts him, charged with locating a baby abandoned eighteen years previously at Barchester Hall, the foundling home started by Zach's father. Sara Kenton, the adopted daughter of a clergyman, teaches at Barchester Hall but cannot approve of the harsh regime imposed there by her sister, Ruth. To escape a marriage to a man she neither likes nor trusts, Sara runs away, taking one of the most vulnerable children with her. She makes her way to Winchester Park, determined that the duke will hear a firsthand account of the irregularities at Barchester Hall and put a stop to them. Max is bewitched by Sara's beauty and fierce determination to protect the children. Satisfied that she is the abandoned child he has been asked to find, Max fears for her safety when it becomes apparent that someone with influence wants Sara silenced – permanently. Who is she? Who is abducting orphans from the foundling home? And can Max and Sara, two people with such diverse backgrounds, possibly find happiness in one another's arms? Zach Sheridan, Duke of Winchester, is looking forward to celebrating Christmas with his new duchess, surrounded by his large family—a family that includes Sean Trafford, Lord Vincent Sheridan’s brother-in-law and the father of nine-year-old twin boys. When Sean chances upon a beautiful stranger on Vince’s land helping herself to discarded offcuts of timber, he makes it his business to learn more about her. He quickly realises that Chloe Carmichael is being defrauded out of her murdered father’s fortune by the unscrupulous Cooper, who is determined to claim Chloe for himself and exploit her talent as a carpenter for financial gain. But before Sean and Zach can delve further into Chloe’s affairs, a woman claiming to be Marianne, Sean’s wife who everyone thought had died five years previously, mysteriously reappears and leaves tantalising clues that imply she may not actually have died after all. Zachary Sheridan, the Duke of Winchester, hopes to heal the breach between the two branches of his family when he invites his five cousins, recently returned to England after a ten year absence in America, to stay with him and his new duchess at Winchester Park. Eleanor Sheridan barely remembers the land of her birth and nervously voices her concerns about her family's uncertain future to a man whom she mistakes for a groom. The Honourable Matthew Wainwright is actually the gentleman sent to negotiate with her brother Jon regarding the leasing of several steamships. As head of his branch of the family, Jon's success in this venture is vital if he is to secure his siblings' future. Stricken with remorse when she discovers Matthew's true identity, Ellie fears he will use her indiscreet confidences to his own advantage. Why then does she feel inexorably drawn towards this glamorous younger brother of an earl? Zachary Sheridan, the eligible and charismatic Duke of Winchester, is faced with a dilemma. In a youthful misadventure his father’s life was saved by his friend Euston. As a token of his gratitude Winchester signed a document promising his firstborn son in marriage to Euston’s daughter. Both men are now dead, but Euston’s widow is intent on having Zach honour the agreement to marry her daughter Fiona. Whether or not the document she possesses is genuine, Zach cannot chance bringing dishonour on his family by challenging the claim and risking a breach of promise case. Meanwhile, Frankie St John, Zach’s alluring widowed neighbour, is being blackmailed by her brother-in-law. He possesses a document which, if made public, would reveal a devastating secret that would see her ostracized from society. Worse, she would lose the respect of Zach, the man she secretly adores. In the spring of 1819 civil unrest in the north of England spreads gradually south. The Duke of Winchester introduces Adam Pengelly, a falconer, to his estate to help discover the identity of the agitators and keep his family safe. Lady Portia, the duke’s younger sister, is enthralled by Adam’s falcons, but even more attracted to the man himself. Used to moving about the estate unnoticed, Portia gradually discovers more about Adam’s mysterious past. When she overhears him agree to a clandestine meeting late at night on a secluded part of the estate, concern for his welfare causes her to follow him; with catastrophic results she could not have foreseen. Rumours abound that Patrick Trafford, the famous Irish portrait artist, is the recluse who has taken Parkstone Manor, the rundown estate bordering the Duke of Winchester’s country seat. Lord Vincent Sheridan, the duke’s brother, is able to satisfy his family’s curiosity in that regard when he rescues eight-year-old twins from a brawl in Compton village. Far from being grateful for the twins’ safe delivery, Niamh Trafford, Patrick’s granddaughter and the boys’ aunt, all but evicts Vince from her tumbledown home. Vince is unaccustomed to being so summarily dismissed, especially by attractive young women, and his interest in Miss Trafford is piqued as a consequence. Nia despairs. Now that Lord Vincent knows who they are, her grandfather will never be left in peace. His diminished mental capabilities will become public knowledge, ruining his reputation and making him a laughing stock. Drawn into the Sheridan’s elite social circle, Nia struggles to hide her growing attraction towards Lord Vincent. In urgent need of a confidante, she admits to him that someone is faking Trafford portraits, exploiting her grandfather’s muddled state of mind for their own gain. Lady Annalise Sheridan, sister to the Duke of Winchester, embarks upon her second season, uninterested in any of the gentlemen vying for her attention. She has already settled her interest upon Clarence Vaughan, the Earl of Romsey. As a seasoned diplomat acting on behalf of his majesty’s government, he is quite the most intelligent, captivating and handsome man she has ever met and she is completely besotted by him. But her efforts to attract him are interrupted when she is abducted from a society ball, and her life hangs in the balance. Cristobel Brooke’s father, jeweller to the rich and famous, is brutally murdered. Crista flees to her uncle, who resides in a small village close to Winchester, determined not to be pulled into the criminal activities that ended her father’s life. But the villains have discovered she makes jewellery just as well as her father did, and pursue her, forcing her to fall in with them. Lord Amos Sheridan, brother to the Duke of Winchester, is intrigued by Crista’s unusual personality but becomes frustrated when she refuses to trust him with her secrets. Suspecting she has involved herself in something she is unable to control, Amos is astounded when she becomes implicated in treasonous acts and delves deeper, determined to vindicate her. MEET THE DUKE OF WINCHESTER AND HIS EXTENDED FAMILY! 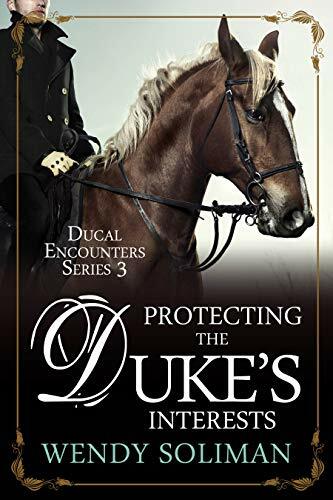 Sign up for my mailing list and receive a free copy of the first book in the popular Ducal Encounters Series, At the Duke's Discretion. 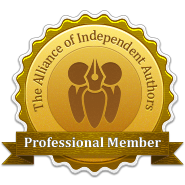 Get news of giveaways, contests and my latest releases. Unsubscribe at any time.